I decided to start sharing my projects, hopefully, on Mondays. 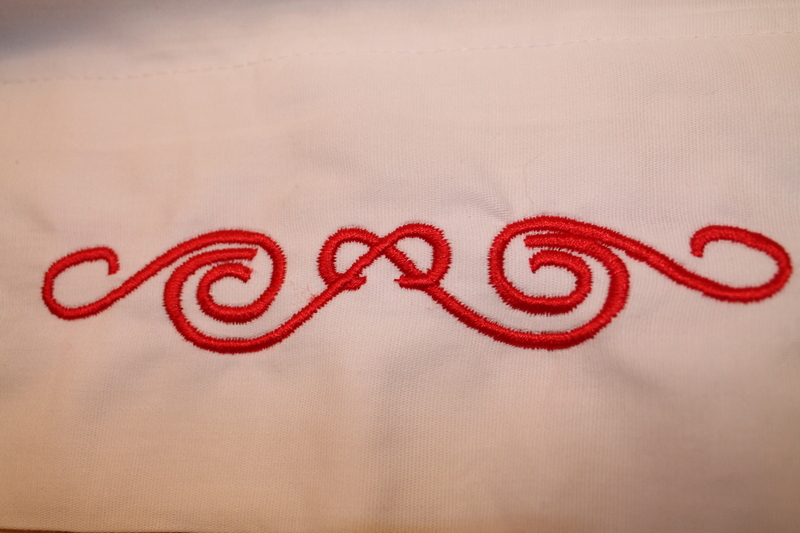 I was busy with embroidery this weekend, so here are a few pics. 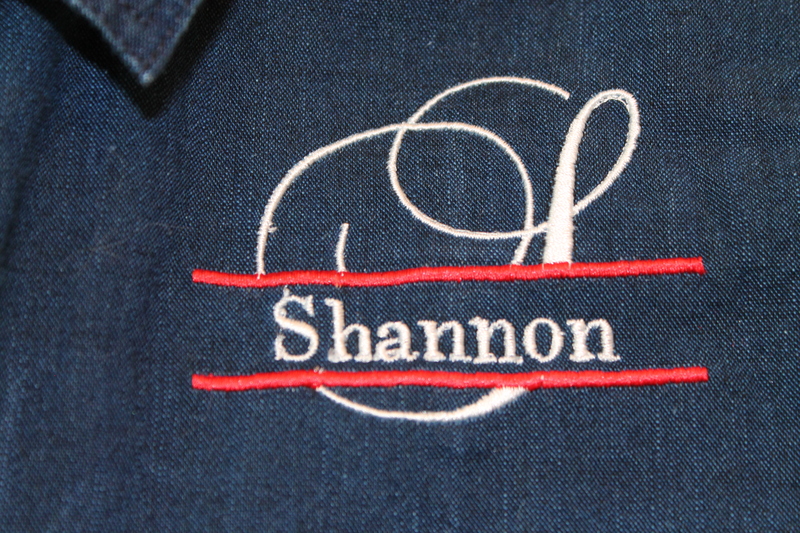 I just got a new embroidery machine on Friday. It’s a Brother PE770, and the hoops are much bigger than my SE400. With every machine, there is a learning curve, so these projects are not flawless by any means. However, through the weekend, I got a little better at learning the machine, so the stitches are a little better progressively. I looked at the pictures with up close views of the stitches and hesitated to post them, Then I reminded myself that I am not a professional, and I don’t have to be perfect. These are all good enough. So . . . here goes! 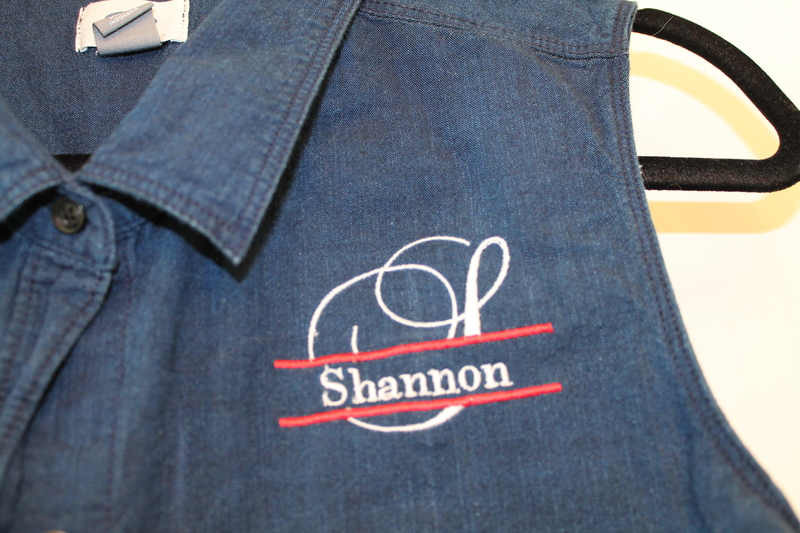 I embroidered this sleeveless blouse for my upcoming trip to Orlando. During the day at the conference, I’ll wear a sweater because the hotels are generally cool, but it will be perfect for running around in the evenings. 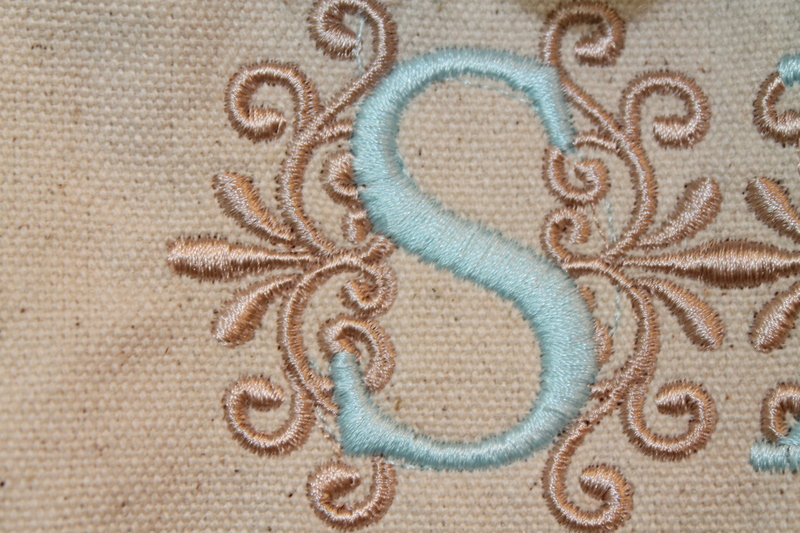 I will add that some of the threads need to be clipped more closely and are not mishaps. It’s hard to see things like that until you see a picture pointing out all the flaws! I made a couple of pillow cases. I’m not happy with the puckering, but I have given myself permission to be less than perfect. 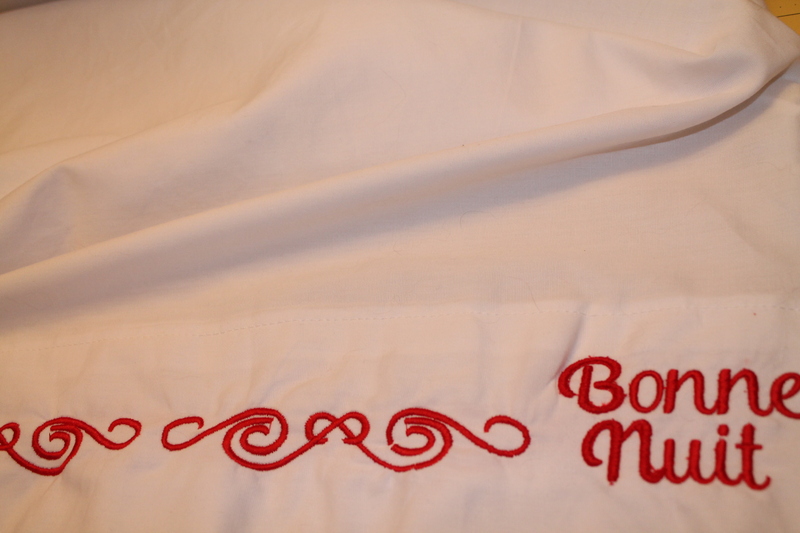 I had to hoop this pattern multiple times to get it all the way around, and I added “Bonne Nuit,” French for “good night,” on the corner. Despite the puckering, the pattern fit perfectly and hooped easily. 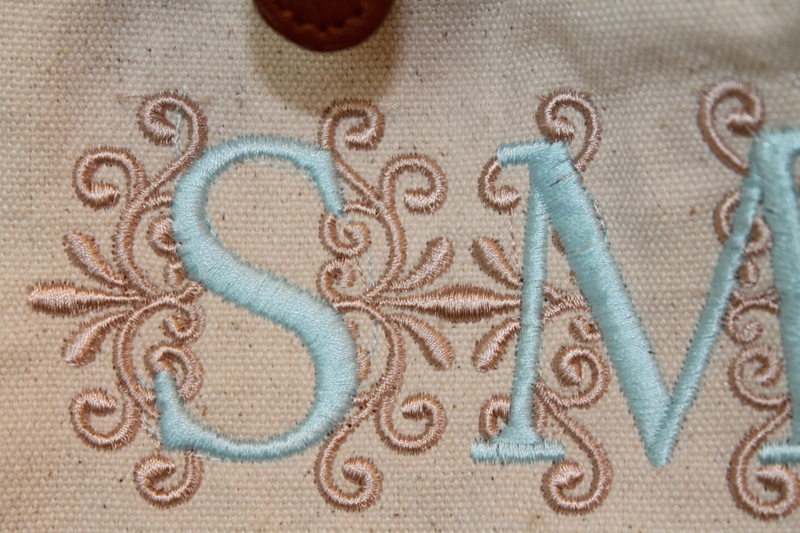 If you do any kind of machine embroidery, you may be familiar with “floating” in a hoop. It makes a huge difference in aligning patterns. I pinned the pillow cases because they are double fabric on the cuff that is not fused and, therefore, slippery. I think they will go nicely in the guest room. 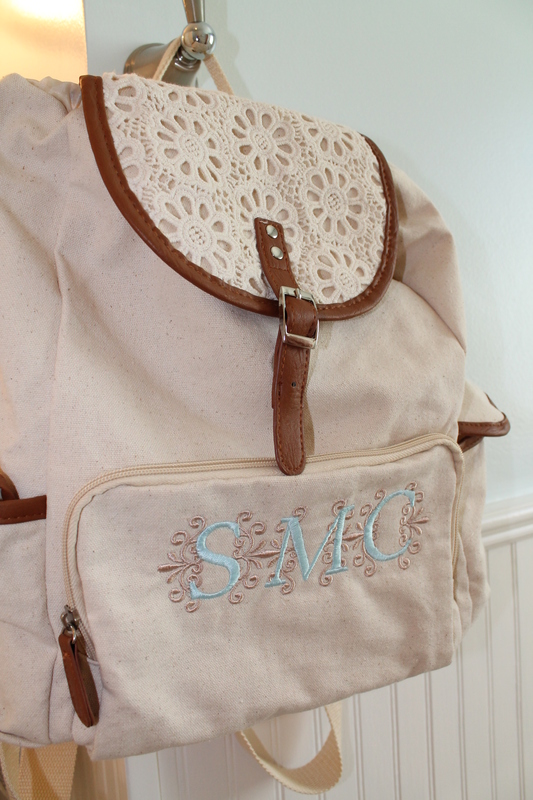 This is a backpack I worked on. It was a pain to pin up to keep it under the machine so it didn’t drag, but once I got everything position well, it stitched out nicely. The backpack was less than twenty dollars at our local Wal-Mart, but they only had one, so I was a little concerned about ruining it. I had to stitch through the canvas and the plastic lining, so removing stitches would have been difficult, if not destructive. I’m happy with how it turned out. I used Metro thread for the cream color and Coats and Clark for the blue. I finally bought a couple of thread stands, and that has stopped most of the tangling I experienced with Coats and Clark thread. It is actually my favorite because it has a beautiful sheen, but it can get tangled in the notch. I also love, love Gutermann, but my Brother SE400 does not like it as much,and it tends to shred. I’ll try it on the 770 and see if it does better. I’ll be out of town next weekend, so I won’t have time to make anything, but hopefully, I’ll get some sewing done through the week. I have a couple of maxi dresses to hem. At an even five feet, I’m too short for everything. Even some petites are too long! Have a great week, and have a great day! 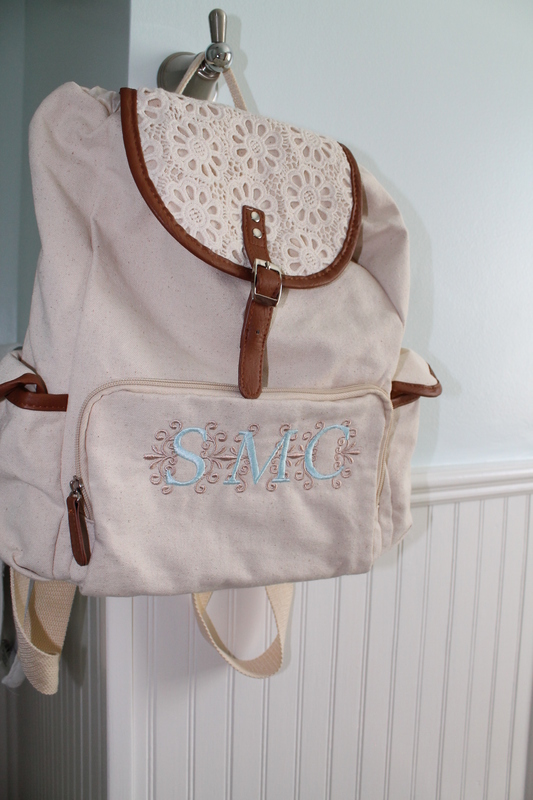 Never thought I’d comment about a functional backpack as being pretty. LOL. The thread colors you chose go well with the canvas. 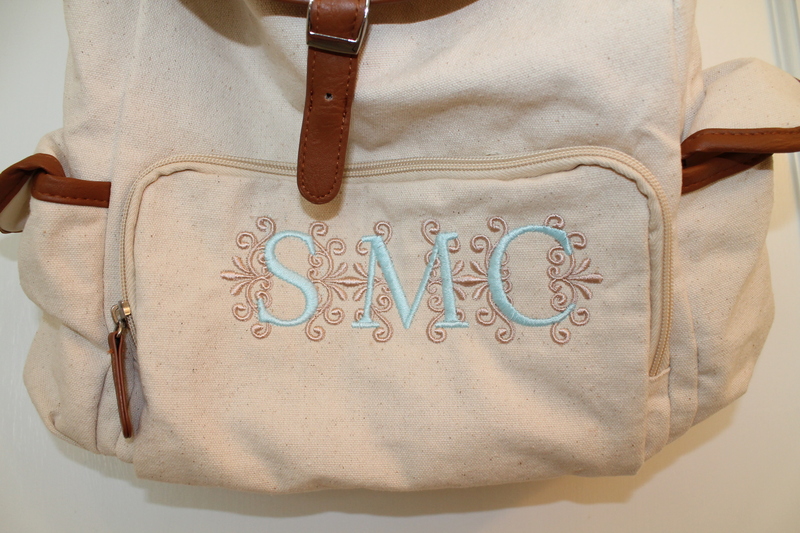 I don’t have an embroidery machine, so I’m no expert, but it all looks perfect to me. Thanks so much, Joanne! I love the colors, and it turned out better than I thought it would. I had some user errors in there to work around!